As they decide on the future of Memorial Stadium, Mecklenburg County officials are hoping to that the City of Charlotte will contribute to renovations. 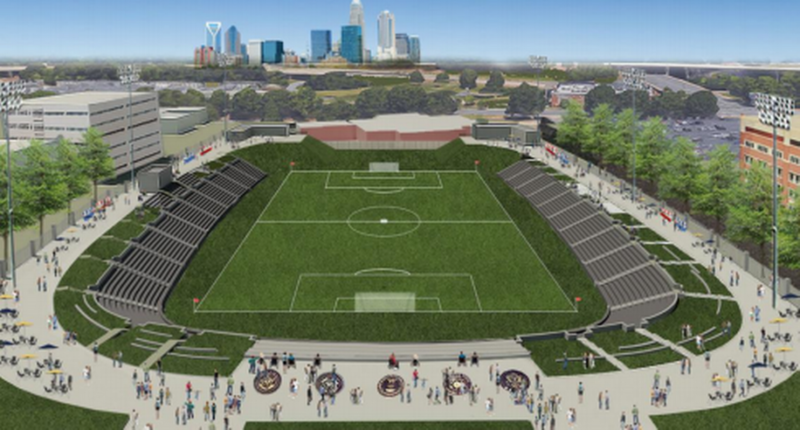 The future of Memorial Stadium has been connected to the status of professional soccer in Charlotte. Previously, the county was considering a $24-million renovation of the facility for the USL’s Charlotte Independence, with the Charlotte Regional Visitors Authority, county and Independence each contributing $8 million toward a 10,000-seat facility that could be expanded for MLS. However, the focus on Memorial Stadium’s future changed after Charlotte’s MLS bid–led by Marcus Smith–called for demolishing it and replacing it with a new $175 million venue. County Manager Dena Diorio presented a county-funded $31.75 million proposal at the Dec. 19 commissioners meeting, which was approved in a 6-2 vote. The county’s Intergovernmental Committee, led by Commissioner Trevor Fuller, intends to meet with the city’s Economic Development Committee, led by council member James Mitchell, next month to discuss co-funding Memorial renovations as well as an amateur sports complex at the Grady Cole Center site. With the impending sale of the Carolina Panthers and the “NFL unknown,” Puckett hopes the city will join the county to refurbish Memorial, but admits it’s unlikely. For much of the 2017 USL season, the Independence staged home matches at the Matthews Sportsplex, a facility located in nearby Matthews, NC. RELATED STORIES: Mecklenburg County Releases New Memorial Stadium Plan; Charlotte’s Memorial Stadium Back in Play for USL Soccer; Charlotte MLS Plan Calls for Memorial Stadium Demolition; Memorial Stadium Renovation Plans on Hold; Charlotte Independence Upping MLS Bid; Charlotte Memorial Stadium Renovation Receives Key Endorsement; Charlotte: We’re Ready for MLS; Independence: We’ll Pay $8M Toward Memorial Stadium Renovations; Independence to Propose Memorial Stadium Overhaul; Charlotte Emerging as MLS City?